At the beach, in the park or at the outdoor pool – with the VARIO BEACH SHELTER you get a shady spot for the whole day, without having to move about. Its clever adjustable roof is easy to reposition. It’s fixed at two points and can be shifted from one side to the other, depending where the sun is. 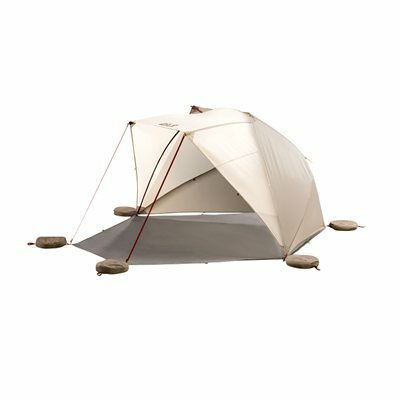 With just three poles, the shelter is easy to pitch, too. When it’s windy it can be anchored on the beach using sand bags or sand pegs.